Home / Unlabelled / Is K-Pop Giant BTS The Beatles of Our Generation? Is K-Pop Giant BTS The Beatles of Our Generation? News18 Â»	Buzz 9-min read Is K-Pop Giant BTS The Beatles of Our Generation? Many veteran musicians and fans of The Beatles have expressed objections to this comparison, calling it an insult to the legacy of the iconic British band. Loading... Anyone who hasn't been living under a rock must surely be aware of the biggest phenomenon in the world of music right now: K-Pop. Short for Korean-pop music, this genre from South Korea has in the last two decades culminated into an over 5 billion USD industry, with a boy band called BTS emerging as one of the top players. With a fandom that first emerged in South Korea and then proliferated across the rest of the world, BTS is one of the most popular faces, not just in K-pop but the overall pop music industry today. Started as a pop boy-band by the music company Big Hit Entertainment in 2013, t he band has in five short years achieved global success and generated wide-scale fan hysteria. They have spawned six albums, four compilation albums, five EPs and 22 singles. The new-age Korean boy band made concerted efforts to ingrain themselves in the pop music scene in America, right from performing regular and even impromptu gigs in the across US arenas from the early 2014 and successively gaining longevity on Billboard's charts. Twitter data reveals that BTS was the most tweeted about music group in the US in 2017, according to a report in Vox. In 2017, the BTS fandom, known as the BTS ARMY, broke the record held previously by Beliebers, the eponymous fans of boy wonder Justin Beiber, and won the South Korean band its first Top Social Artist Award by Billboard. Earlier in 2018, the band became the first South Korean band in history to debut an album at No. 1 on the US Billboard chart. It was also at No 10 on the Billboard Hot 100, cementing its place in the US music s cene. So immense is the fan hysteria around BTS that many commentators and journalists have likened the band to The Beatles, a comparison that has takers and haters in equal measures. In 2017, BTS made an appearance on the Ellen DeGeneres show, where Ellen announced that the fan craze the band was generating was no less than the Beatlemania from over 50 years ago - the name that was given to the phenomenal fan frenzy the Beatles created in the early 60s. It was a phenomenon that lasted well into the 70s and can be seen even today in turgid editorials in music periodicals and carefully curated vinyl collections kept in storehouses of music connoisseurs. Recently, a BBC article about BTS fandom again drew the comparison which by now has become almost old news: BTS is today's Beatles. But is there any truth to this assumption? Many veteran musicians and fans of The Beatles have expressed objections to this comparison, calling it an insult to the legacy of the iconic British band that is often seen as a central force in the flower-power movement in both sides of the Atlantic in the 60s and early 70s. John, Paul, Ringo and Starr came to define youth and revolt in the backdrop of a world increasingly affected by war and strife. They sang about issues that affected the youth, about war and peace and conforming to government agenda, about equality and freedom, about hope and love. Political events such as the Vietnam war helped elevate their music to an undeniably lofty stature and the soulfully angry strains of their guitars came to define almost two generations of non-conformists who wanted to ask tough questions from their governments and society but were bogged down by alienation and a lack of opportunity. About four decades since, BTS is singing about some of the same things. Many of the group's songs deal with mental health and the struggle over self-worth and self-doubt, themes that resonate deeply with modern youth across the world, especially Korea. Much like The Beatles, BTS too, finds its creative fodder in the everyday struggles of humanity. In South Korea, were K-Pop, much like all else, is a highly regulated cultural and social phenomenon, the pressure to conform is immense. Exiting from a style formerly adopted by K-Pop musicians, BTS, a group started by a relatively low budget company, started to talk about the pressures traditions and rules place on the young, killing their creativity and urge to actualise. It spoke about the cut-throat K-Pop industry and the need to protect the young from exploitation. They also came forth to proclaim themselves as 'free&#0 39;, as opposed to the normative 'slave contract' structure of employment K-Pop artists usually have with their managing founding firms. Recently, BTS became the first ever South Korean music group to give a speech at the United Nations' UNICEF's "Generation Unlimited" launch where the boys spoke about the struggles they faced and how they could turn it into positive music that is helping people to cope with their own lives. Their music reverberates with millions of young fans across the universe. The Beatles' meteoric rise from a band of four carefree Liverpool boys with moppy bowl haircuts to a force of pop-counterculture was swift. After first debuting in Liverpool in 1960, the band quickly rose to fame. By 1963 it had a name - Beatlemania - and by 1964, the Beatles had invaded the US, cementing themselves as the Fab Four on Billboard charts and consequently in music history. They were popular symbols of a new wave in music and were worshipped by the youth. When you look at the way BTS has grown in popularity, it is very similar. After first releasing their first album 2 Cool 4 Skool in 2013 under their original name Bangtan Sonyeondan (Bangtan Boys), the seven-member band received instant success and acclaim within South Korea. By 2014, they had already entered the US Billboards and by 2016, they had become regulars. Their successful entry into the music scene is part of a two-decade-long phenomenon that South Korea calls 'Hallyu' - a controlled wave of South Korean pop cultural exports to the rest of the world. While Hallyu made its presence felt in the beauty and film industry, television content and art, the arena that it has achieved a real breakthrough in has been music. Over the course of the past decade, K-pop has been made part of the South Korean cultural export to the world, and they have been designed to have a global appeal in the form of cultural mixing and exposure. The popularity of BTS does not just reflect a shift toward melodic compositions and (post) production value but also a cultural explosion in South Korea itself. 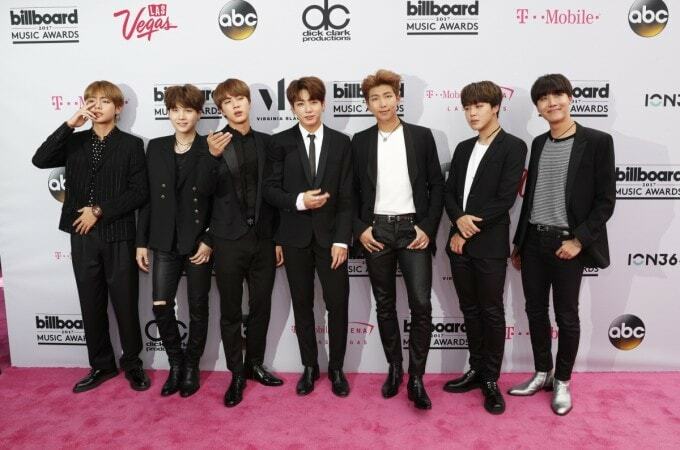 Having grown out of a stringent music industry that punishes failure and gives high premium to success and morality, K-pop artists such as BTS now command massive global audiences and have slowly started to speak about some of the issues youth actually struggle with, especially in traditionally conservative Asian countries like South Korea. Back in 1968 when The Beatles asked people to hop on to their yellow submarine and escape the sordid world of wars and drafts, they may have been setting a precursor for a future generation of pop artists from Asia to feel okay to dress up in yellow and pink and talk about their feelings to large audiences and aski ng them to forget their sorrows. It is the pop legacy of The Beatles to go beyond the grain and shock before they awe. It is easy to see why the histrionics, flash and flamboyance of the BTS boys is reminiscent of the rambunctious fab four themselves, who were notorious for their pranks, conspicuous jollity and cheer, at least in the early days. Fan hysteria is yet another factor that makes comparisons between the Beatles and BTS feasible. Iconic (if sometimes a tad unflattering) footages of fans, mostly women screaming hysterically at Beatles photo-ops and throwing themselves on cars purportedly containing the Fab Four are a familiar part of Beatlemania. The Beatlemaniac of the late 60s and early 70s is the BTS ARMY of 2018. These fans are hard-core followers of the band and often follow elaborate fan rituals to show their allegiance. They learn specific BTS chants that they hum at the band's shows and appearances, they buy expensive BTS m erchandise at shows and throughout the year and are adherents of the particular style or brand of look that the boys sport. The BTS ARMY is also not just a passive collection of admirers. They are active on social media platforms and other forums, and often form groups and forums to discuss BTW. Almost every country today has at least a niche if not mass following of K-pop and BTS is at the centre of these fandoms. According to a report in Forbes, the ARMY is notorious for spending large amounts of money procuring advertisements for their favourite band members in New York's Times Square, an act even other other K-pop fandoms are actively participatory of. 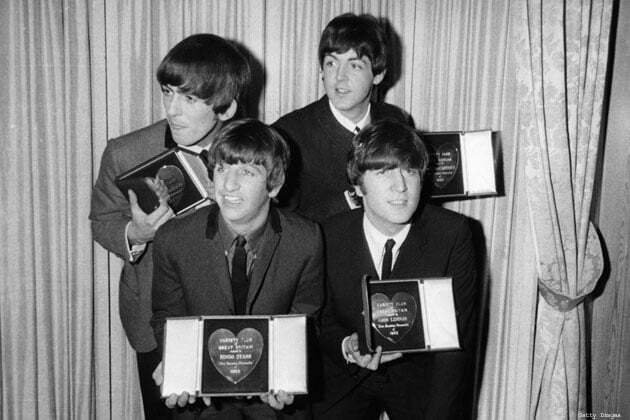 And while one may say that the Beatles managed to garner their support at a time with no internet or social media, it is to be noted that the Beatles sang in ENGLISH, a language that was already familiar to half the world. They were a UK export and part of a rock and roll boom that they successfully rode to glory. Their t iming was also perfect - reeling under the effects of war and modern poverty and alienation, fans found in the Beatles what they could not in their own failing governments and institutions - hope and solidarity. Similarly, K-pop in South Korea is an exit from traditional South Korean music which focused on values, nationalism and bland romanticism. It is an explosion of a new kind of energy and youth in the country that has opened it up to the eyes of the world. 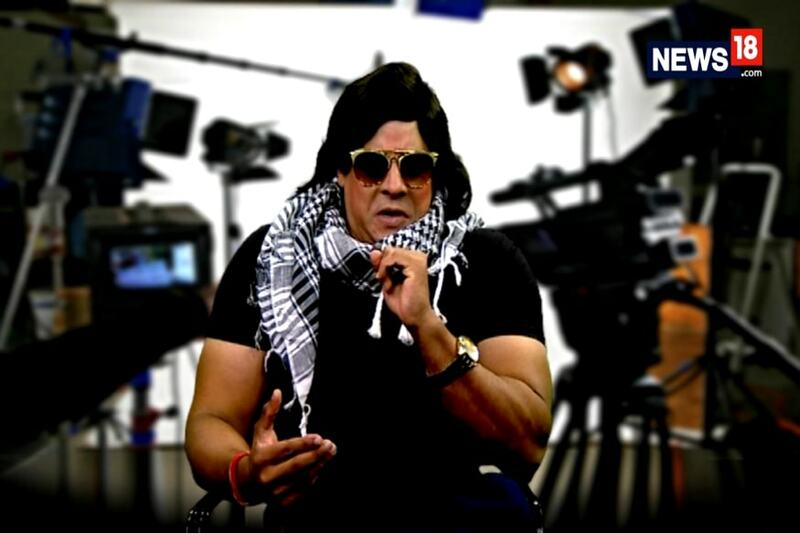 Never before has a non-English music genre become so popular as to attract comparisons with music icons. The shift could be a sign of cultural saturation of the West and a bid for inclusion and something even newer in music.